Well, it’s that time of year again…. 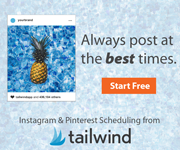 the time when I want to start ALL THE THINGS…. IMMEDIATELY. And I say that like it is this particular time of year when this happens but that’s not really the case. It happens pretty sporadically and this is just one of those times. Does this happen to you? If so, then you probably don’t need this list because you already have your own overwhelming list. If not, then these are just some great pattern suggestions and ones that I currently love. **Note the use of the word “currently” — then ask me next week! So I’ve got 8 knitting patterns to tell you about. 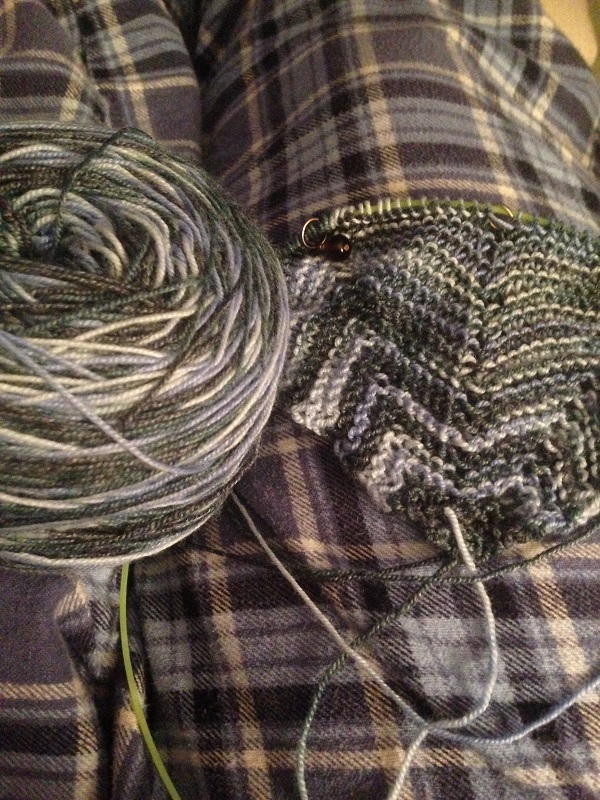 A new kind of knitting/pj camouflage. Ha! She made me buy yarn for it too. Thanks Sue Z.! This has a pretty and interesting stitch pattern that is really very easy. I’m hoping to have both of these as classes in the summer. Stay tuned, local peeps! Almost done! (sort of) I’m teaching the class in a couple of weeks – there are still openings if you are interested. 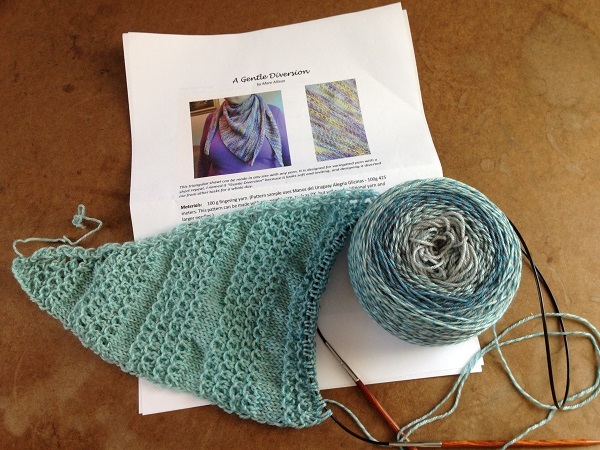 And to top it all off I signed up for/purchased the ebook for season two of Curious Handmade’s The Shawl Society. I participated in season 1 and while I didn’t knit all 6 shawls, the patterns are gorgeous and I will someday knit them all. I’m excited to see what the next 6 will be. 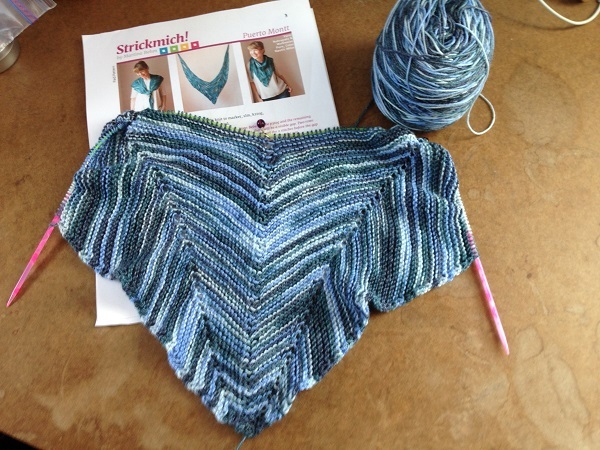 One shawl pattern will be released each month for six months. Knitalongs and prizes for each during that month. FUN! There you have it, the 8 knitting patterns that I’m currently obsessed with and planning on starting, and maybe now your are, too. You’re welcome. Check them out and let me know what you think of them! Are you going to try any? 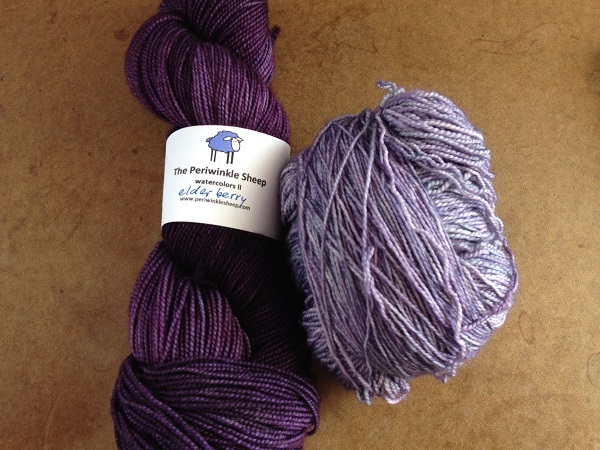 Posted in Uncategorized and tagged a gentle diversion, brooklet, caine, holey comfort, joji mystery wrap knitalong, martina Behm, puerto montt, tangled lace, the shawl society ii on April 27, 2017 by lizytish. Just 8? Haha. Very pretty. Ready. Start. Go! 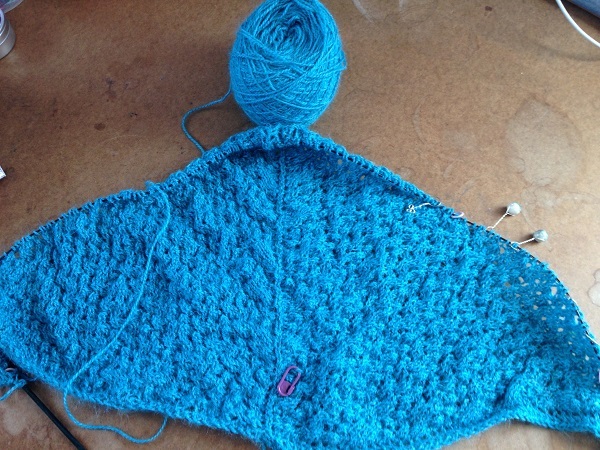 1 Pings/Trackbacks for "8 Knitting Patterns I’m Using to Deal With My Start-itis"